In R&D, Vastalla has taken part in STEPS – Systems and Technologies for Space Exploration project. STEPS has been a very large R&D project (about 20 MEuro) whose leader was Thales Alenia Space. Other partners are part of the project: among them the Politecnico of Turin, the University of Turin, the University of Eastern Piedmont, ALTEC and other qualified SMEs. This Space project, which lasted for over three years and was co-financed by Piedmont Region using European funds, aimed to study new technologies that may be used in the robotic or human space exploration, with particular attention to Moon and Mars exploration. WP 1.I – this work package aimed to develop an innovative Human Machine Interface fit for a Moon or Mars exploration mission. S. T. Chiadò (Vastalla), V. Basso e M. Pasquinelli (Thales Alenia Space), L. Quinale (Vastalla) – “A Step Closer to Model Based System Engineering: Advanced IT Support Tools for Concurrent Preliminary Design of Space Projects”, Paper number: 2011-01-2710, 18th October 2011. On 9th May 2012 the final event was held in Turin. The project has generated great interest also from European Space Agency (ESA) and from Italian Space Agency (ASI). In the image above, Piedmont Region President Roberto Cota assists to STEPS final demonstration at Thales Alenia Space’s Collaborative System Engineering (COSE) Centre. 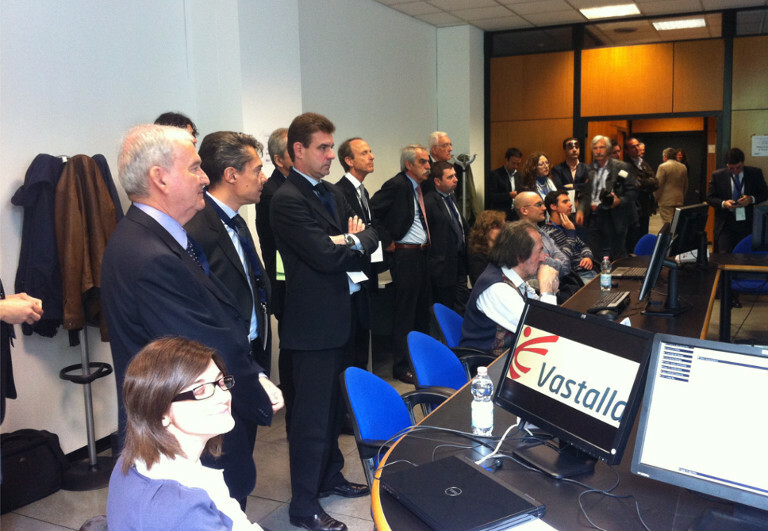 Vastalla presents the outcome of its activities during the demonstration. In the image above you can see the scaled Pressurized Rover, airlock (in the back) and part of the lander. 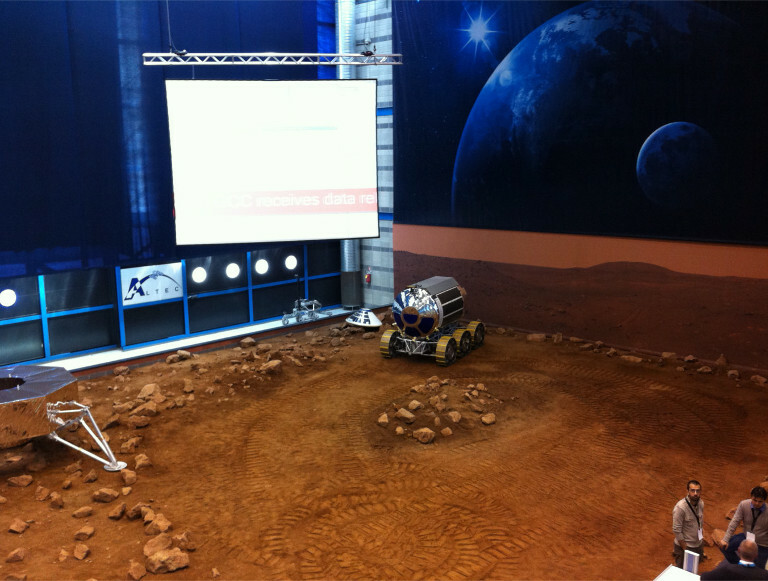 Final demonstration involved the Rover movements on the simulated Martian terrain prepared at ALTEC facitilies in Turin. ALTEC (Advanced Logistics Technology Engineering Center) is the Italian center of excellence for the provision of engineering and logistics services to support operations and utilization of the International Space Station and the development and implementation of planetary exploration missions.